Treberfedd Farm is based at the heart of the beautiful county of Ceredigion, in rural mid west Wales. There are plenty of things to do at the farm and throughout Ceredigion. There’s actually not just one but three bridges at Devil’s Bridge Falls. The original was probably built by the monks of the local monastery sometime between 1075 and 1200. The second was built in 1753, when the first bridge was deemed too old and unstable for use. 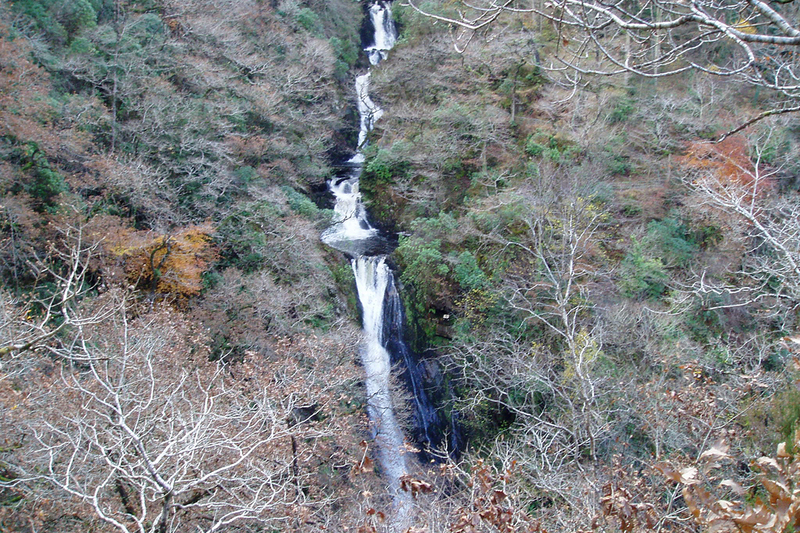 Finally, the third and highest bridge over the stunning Mynach Falls was built in 1901. According to legend, the original Devil’s Bridge was built by the Devil himself. He constructed the bridge for a little old lady in exchange for her soul, or the soul of the first person to cross. Luckily the old lady had the wits to let her dog cross first and, enraged, the Devil vanished, with no use for the soul of an animal. Devil’s Bridge is a fascinating mixture of man-made and natural history. It makes a great day out for the whole family to discover the wonders of ancient Wales. Find out more about what’s going on in around around Devil’s Bridge.